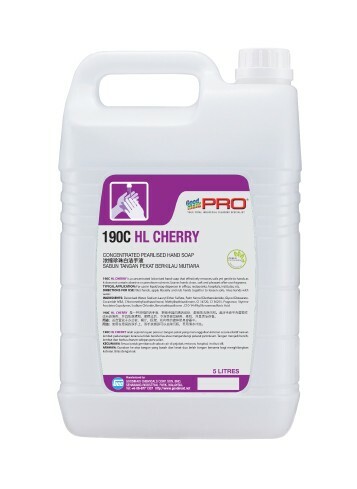 190C HL Cherry - Goodmaid Chemicals Corporation Sdn. Bhd. Concentrated lotionised hand soap does not contain abrasive solvents that effectively removes dirt gently, leaves hands sanitized and feels nourished. • Leaves hands with a sweet cherry scent after use. • Suitable for use in liquid soap dispensers in offices, restaurants, hospitals and institutes.